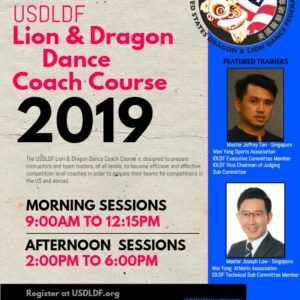 Dragon and Lion Dancing has been studied, practiced and performed in the United States for over a century, in a variety of places like Chinatown associations, traditional martial arts schools and college campuses. People of all backgrounds, young and old, enjoy not only viewing this art form but also performing it during various celebrations throughout the year. These arts have been gaining popularity across the globe and are now internationally recognized sports, practiced worldwide. The USDLDF is composed of member schools and individuals, across the nation, that share a passion for preserving these cultural arts through dedicated practice and study, as well as working on promoting them as sports that develop fitness and friendships. To preserve and promote the arts of Dragon and Lion Dance, among other traditional Chinese martial culture arts, within the United States. Promote friendship, courtesy, harmony, ethics and goodwill among practitioners in the US as well as abroad. 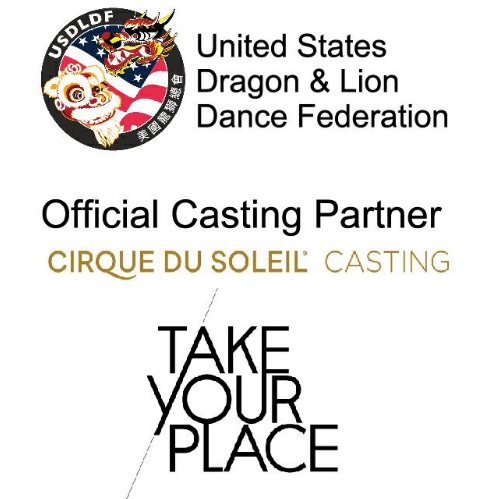 Unite the US dragon and lion dance schools, teams and troupes to help them grow and expand their programs and knowledge of the arts. 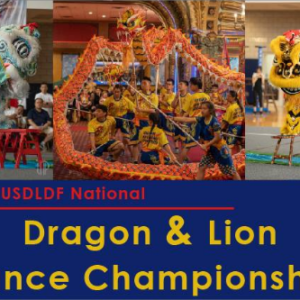 Increase communication between practitioners within the US and abroad to raise the standards of dragon and lion dance of all federated member teams to an international level. 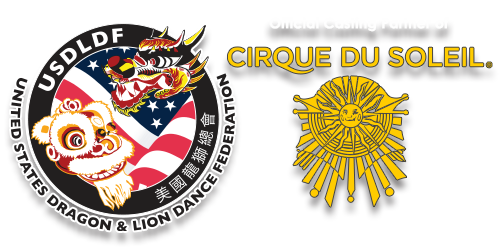 Become an active member of the International Dragon and Lion Dance Federation (國際龍獅總會) and the international dragon and lion dance community as a whole. Organize training for judges and coaches in order to have qualified national level judges and instructors. Organize official and sanctioned dragon and lion dance competitions within the US to improve our communication, knowledge and standards. Create opportunities for member groups to represent the USDLDF and the USA in international competitions. Create opportunities for the national level certified judges and coaches to become certified internationally.